Carthenia W. Jefferson, RN, Esq. is an attorney, legal nurse consultant, medical chart reviewer and a speaker. Her educational background includes: a BSN from UAB School of Nursing, RN since 1985, JD from Birmingham School of Law and License to practice Law in the State of Alabama since 2004. She has spoken nationally and locally on topics such as: “Nursing and the Law”, “End of Life Issues”, “Breast Cancer Awareness”, “Domestic Violence”, and “The Affordable Care Act”. 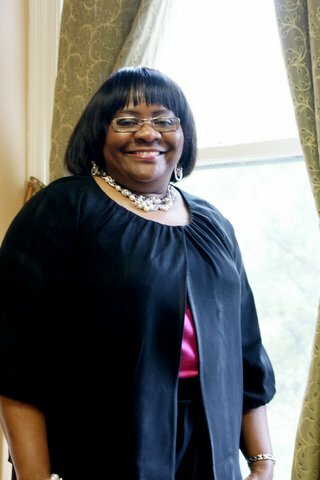 She received the 2010 Nurse Entrepreneur of the Year Award from the National Black Nurses Association and Outstanding New Member Award from the Alabama State Nurses Association. Carthenia received the 2013 Alabama State Nurses Association Leadership Award at the 100th Annual Alabama State Nurses Association Convention. In 2015, Carthenia was inducted as a Fellow into the American Bar Foundation. In 2016, Carthenia received the Lillian Holland Harvey Award from the Alabama State Nurses Association which is awarded to a member who has made significant contributions in one or more of the following areas: fostering transcultural relations, promoting the advancement of minority groups, and upgrading health care services to those who are culturally and economically under-served. Carthenia serves on several Boards which includes Alabama Lawyers Association, Birmingham Black Nurses Association, Inc., and Brenda’s Brown Bosom Buddies. Magic City Bar Association (www.magiccitybar.org). (Uncontested and Contested Divorce, Child Support, Juvenile Matters), Criminal Law (Felonies, Misdemeanors and DUIs), Probate Law (Estate Planning, Living Wills, Last Wills and Testaments, Power of Attorney, Adoptions, Guardianships, Pre-Nuptials), Employment Law (Wrongful Termination/Discharge, Retaliation, Unpaid Overtime Compensation), Legal Nurse Consultant.